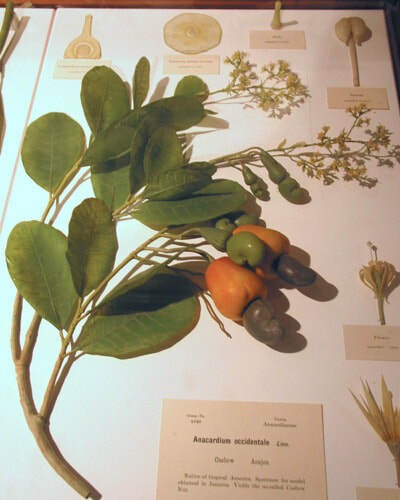 A Herbarium is a place where collections of dried plant specimens and pressed and plant material are preserved and stored for use research purposes by botanists and scientists. prints, slides and digital photographs. A variation on a Herbarium is a Fungarium - which houses fungi specimens. Whether you use Herbariums or Herbaria for the plural probably depends on how much Latin you know and whether you think it's important - I've decided to use both! The aim of this page is to develop a list of herbariums / herbaria which are accessible by botanical artists. As the list develops and grows I'll split country data off into separate pages - which will be accessible from this page - so please make a bookmark! 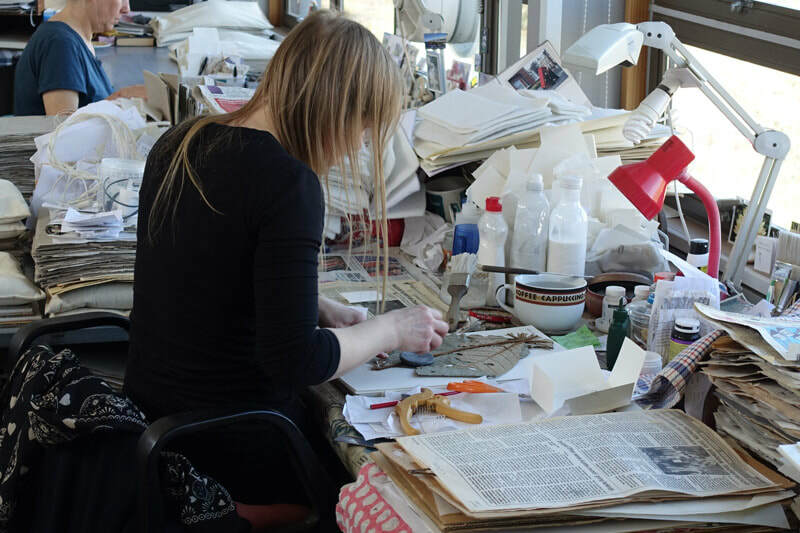 ​Also listed are the names of botanical artists who regularly work from herbarium specimens. This list will grow over time. At the end I've included a list of Virtual Herbariums - which are accessible no matter where you are located in the world. The advantage of the virtual herbarium is they provide large scale magnified images of plant material. Banner Image: Inside the Old Herbarium Building at Kew - where lighting used to be by gas lamps! Matthew C. Pace, assistant curator at the Steere Herbarium at The New York Botanical Garden, explains what you need to know about herbariums. GO TO: Basic Plant Collecting and Pressing for a series of videos outlining how you too can start your very own a Herbarium! 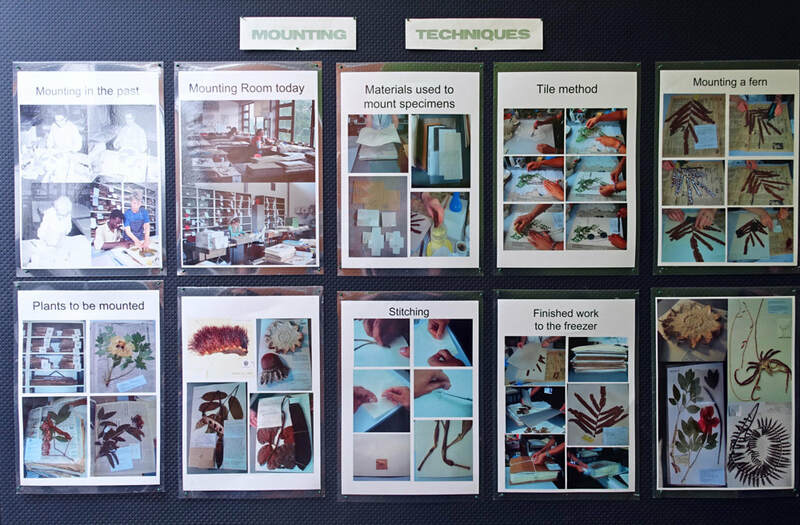 This is the commonly recognised standard reference manual for how to create herbarium specimens from plant material. Lucy T. Smith is an Australian botanical artist (and winner of the Margaret Flockton Award 2014) based in the UK. She works on commissions for the scientists at Kew Gardens and regularly draws from the plant material kept in the Herbarium. 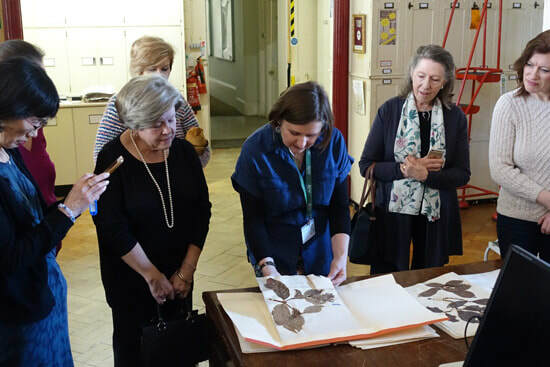 Rosemary Wise works for Oxford University Herbaria. She produces artwork for their Tropical Forest Field Guides Project. The At L'Herbier blog is the online journal of writer and editor Sonya Patel Ellis, founder of The Herbarium Project. A recommendation too good not to pass on! This was recommended to me by somebody who did a lot of flower pressing. The main advantage is that this method apparently preserves the colour of the flowers much better. It weighs 885 g and measures 22.9 x 22.9 x 2.5 cm. There's also a book of instructions - and refill packs for the materials used for pressing. The Kew Gardens Herbarium has more than 7 million specimens collected from all over the world. Mounting specimens for storage in the Kew Herbarium from parcels received from collectors in the field. Newspaper is a readily available material world which helps to dry a plant specimen when it goes into the plant press in the field. Filmed in the Herbarium of the Royal Botanic Garden Edinburgh, this video provides an introduction and practical guide to the art of mounting pressed, dried plant specimens for scientific study. The Millennium Seed Bank Library at Wakehurst Place in Sussex ("Kew in the country") stores material on seeds, plant physiology, seed storage and seed germination. The work of this seed back involves collboration with various Botanic Gardens all over the world. The video below explains how Kew produces Seed Guides for different species in different parts of the world using the informstion from specimens housed in the Kew Herbarium. The Herbarium at the Royal Botanic Gardens Edinburgh houses nearly three million specimens representing half to two thirds of the world's flora. Cambridge University Herbarium - houses over 1 million pressed, dried and mounted plants. These date back to 1703. Access is available for those who have a research purpose. 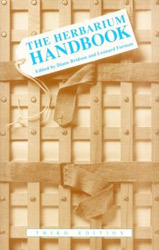 The Herbarium also makes special collections available online. These are Darwin's Beagle Plants - the photographic records online appear to be excellent. The Natural History Museum concentrates on the flora of Europe (including the UK), Central and North America, together with British and world lichenized fungi, algae, mosses and liverworts. The Paul Hermann Herbarium - Paul Hermann's collection was created in the 1670s and is one of the first major collections of the botany of the East Indies. The George Clifford Herbarium - A herbarium of over 3,000 specimens collected by George Clifford (1685-1760), a wealthy Anglo-Dutch merchant. Founded in 1819, this houses 3.6 million dried and preserved plants and is the largest herbarium in Germany. This is the Department of Botany of Naturalis Biodiversity Center. The botanical collections of Naturalis consist of the herbaria from Leiden, Utrecht, and Wageningen universities. The focal areas are Southeast Asia, tropical America, tropical Africa and the Netherlands. Denver Botanic Gardens’ herbaria document vascular plant and fungal biodiversity and species distribution in Colorado and the Southern Rocky Mountain Region. ​With support from the Institute of Museum and Library Services, the herbaria received new storage that will allow for 20 years of plant and fungal collection growth. The Sam Mitchel Herbarium of Fungi is the most active and largest macrofungal herbarium in Colorado. The C. V. Starr Virtual Herbarium - an electronic gateway to the collections of the William and Lynda Steere Herbarium (c. 7.3 million plant and fungi specimens). The project to digitise the collection currently comprises c. 1.3 million herbarium specimens and 225,000 high-resolution specimen images. Barbara Thiers, Ph.D., Director of the The William and Lynda Steere Herbarium at the New York Botanical Garden, reveals the inner workings of this unique collection of over 7 million dried plant specimens. 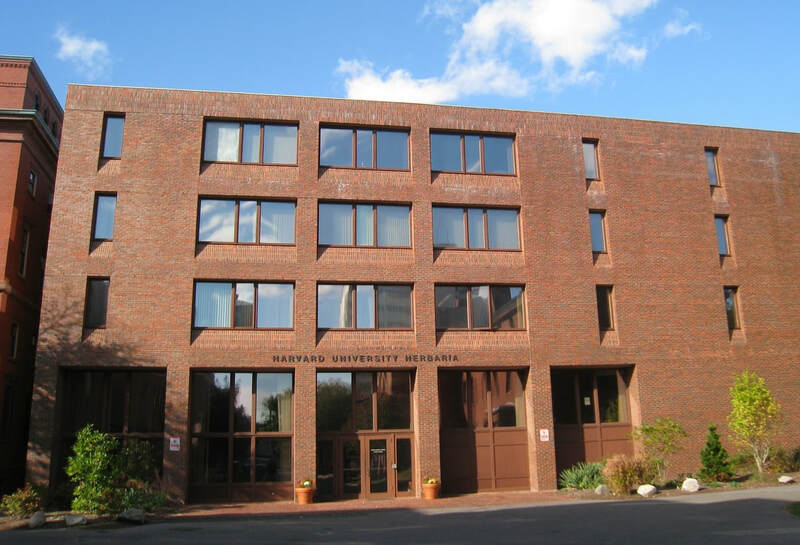 Harvard University Herbaria - Home - The Harvard University Herbaria, with more than 5 million specimens, is one of the 10 largest Herbaria in the world in number of specimens, and along with the library, form the world's largest university owned herbarium and the 3rd largest herbaria in the USA. The Glass Flowers | Harvard University Herbaria - The Ware Collection of Blaschka Glass Models of Plants, popularly known as the Glass Flowers - commissioned in 1886 to aid in teaching and serve as the premier botany exhibit. 847 life-size models representing 780 species and varieties of plants in 164 families as well as over 3,000 models of enlarged parts. Glass Flowers: The Ware Collection of Blaschka Glass Models of Plants - This unique collection of over 4,000 models, representing more than 830 plant species, was created by glass artisans Leopold and Rudolf Blaschka, a father and son from Dresden, Germany. Emory University Herbarium - home to more than 21,000 plant specimens, dating back to the late 1800s. The majority of comprise plants from the southeast USA. Some 20,000 specimens have been digitized. The University of Michigan Herbarium - this is home to some 1.7 million specimens of vascular plants, algae, bryophytes, fungi, and lichens. National Depository of Living Systems | Digital Herbarium of the Moscow State University - Moscow University "Noah's Ark" Aaimts to create a multifunctional network storage of biological material. Australian Virtual Herbarium - The AVH provides access to collections held in Australian herbaria which, between them, house over seven million plant, algae and fungi specimens.